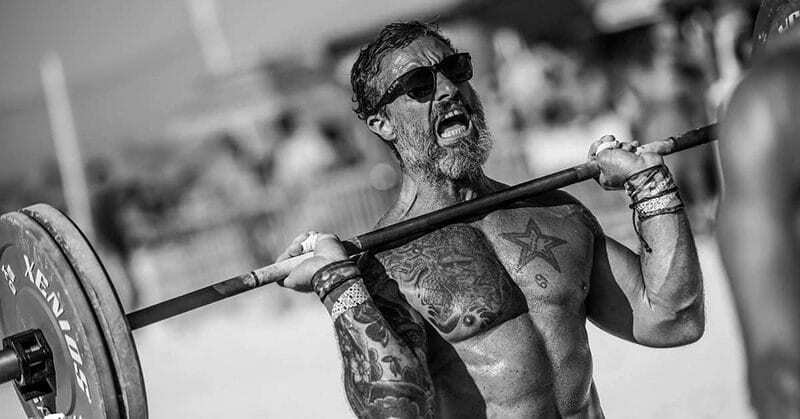 We strain our bodies and perfect Crossfit techniques, but during the hardest parts of training, it is our minds that give us the edge. So how do we make them stronger? Hitting the Crossfit wall is a feeling we all know! It happens in those moments during a Crossfit WOD when every sinew, muscle fibre and nerve ending is screaming out for the end, yet there are still miles to run, hills to sprint or squats to finish. This is the zone where it comes down to iron willpower and strength of character. It is the place when your training really counts, so how can you use your mind to push through and succeed? Try these 5 psychological tips to thrive during the bleak moments of Crossfit and smash through those walls! Prior to training, choose a simple song lyric or motivational phrase that inspires you. Counting also works. Repeat it in your head in time with the physical movement that you are performing. Examples of this include running in time with the beat of a song, or doing box jumps on every third count. The aim is to trick your body into creating a rhythm, a cycle that helps to add structure and puts you in control. It also breaks down rounds and reps into more manageable sizes, and will allow you to continue even when your body won’t. Famous Example: Diana Nyad. Aged 64, she became the first person in the world to swim the 180 km (110 miles) distance between Cuba and Florida. 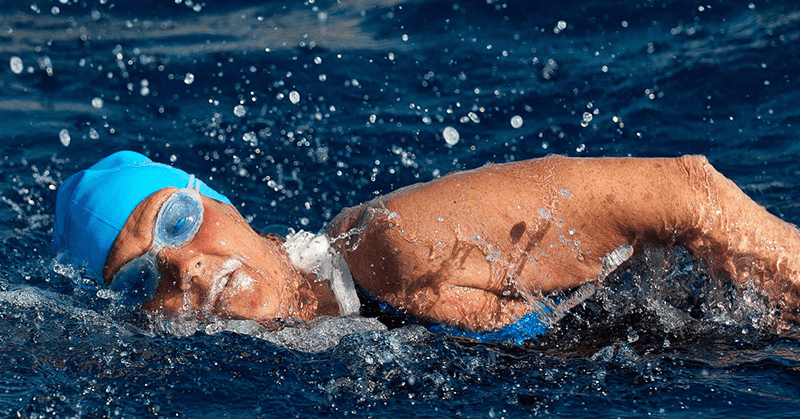 It took 53 hours, and she swam without a shark cage. During the journey she endlessly repeated song lyrics by Neil Young and John Lennon and counted number patterns in order to create cycles that would successfully allow her to make the epic crossing. Imagine the pain as a person or object, something that can be focused on, condensed and pushed aside whilst you finish your workout. This trick also serves as a positive reminder of personal progression. Without adversity there is no achievement, and also, since when has an easy Crossfit WOD ever been fun? Famous example: CT Fletcher. This charismatic Powerlifter, with an official bench of 295 kg (650 lbs) imagines pain as an old friend, someone to welcome rather than dread during a workout. He understands that without the pain and hard work, there cannot be progress, so it is a vital necessity, and a helpful sign that you are pushing beyond your limits. Out of habit, when we count our reps, most people logically tend to start at 1 and work consecutively upwards. Go the other way and count downwards. This is effective because as you count, you are constantly reminding yourself that you have fewer reps to complete. When we begin a workout feeling fresh, this is obvious, but as we battle against a psychological wall in training, the smallest steps towards the finish can be enough to spur us on to endure and succeed. Rowing 200m, 10 times consecutively, seems a lot less that rowing 2000m in one go. They are both the same distance, but by dividing it into smaller sections, you give your mind a series of points to aim towards, instead of an endless and exhausting slog to the finish. It is a psychological trick that allows your brain to see each physical task in a new way. Famous Example: Haruki Murakami. The Author and ultra marathon runner used this technique to complete runs of up to 50km in Japan and the USA, dividing the distance into achievable sections and checkpoints in his mind. Form is important 100% of the time during Crossfit. Yet it is when we are most tired that a drop in quality is more likely to occur. When your muscles scream and the tank is empty, focus intensely on perfect form, and the parts of your body that are needed to perform the action. Try to block everything else out and operate in an almost machine like way to get the job done and the workout finished. Famous example: Bobby McGee A respected running coach; he stated that ‘concentrating on your form is the purest form of concentration’, and explored the ways that this can improve performance.